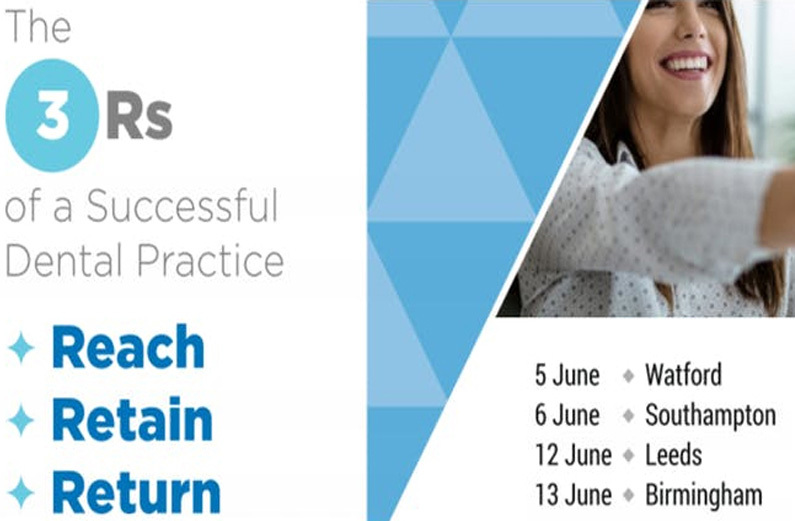 In this series of FREE seminars for dentists and/or practice managers, held at various locations throughout the UK during June, discover how to Reach out and attract new patients, Retain their custom and keep them Returning again and again – The three R’s of a successful dental practice: Reach, Retain and Return. You’re guaranteed to take away plenty of fresh ideas to help improve your practice’s performance. Food and drink are provided, please visit the registration page to obtain parking details at each venue. Places are limited at each location (max tickets per registration = 3). Please register ASAP to avoid disappointment. Reach – How to connect with patients in a changing digital landscape. Increase new patient numbers with a proven 5 point digital marketing plan.